Tomorrow, Tuesday March 31, 2015 is the final day of Multiple Sclerosis Awareness Month. 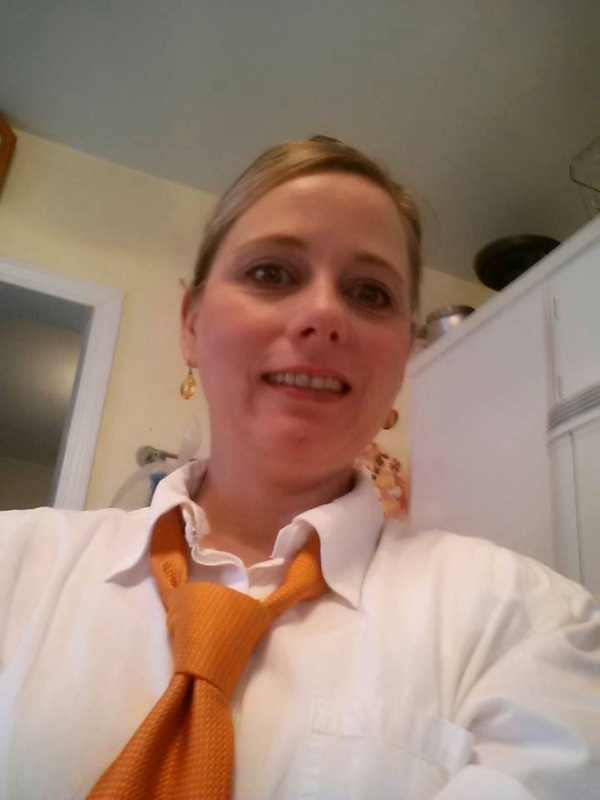 Join thousands of others around the globe and wear a neck tie in ORANGE, the official color of MS awareness! 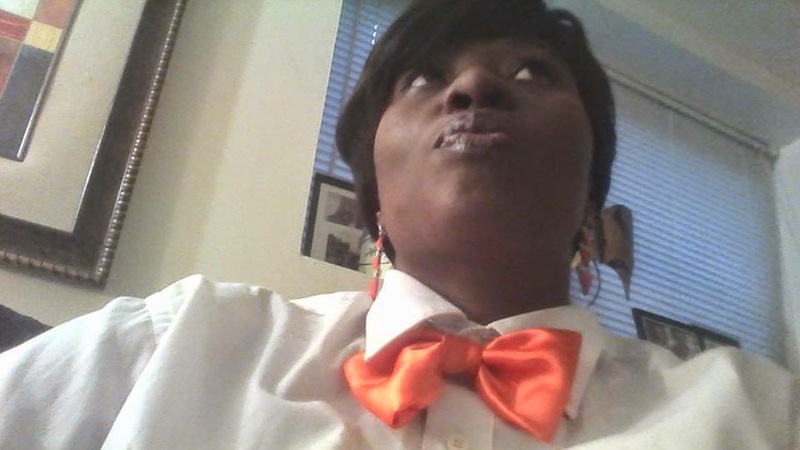 It can be a regular tie or bow tie! Wear it tightly knotted or loose! 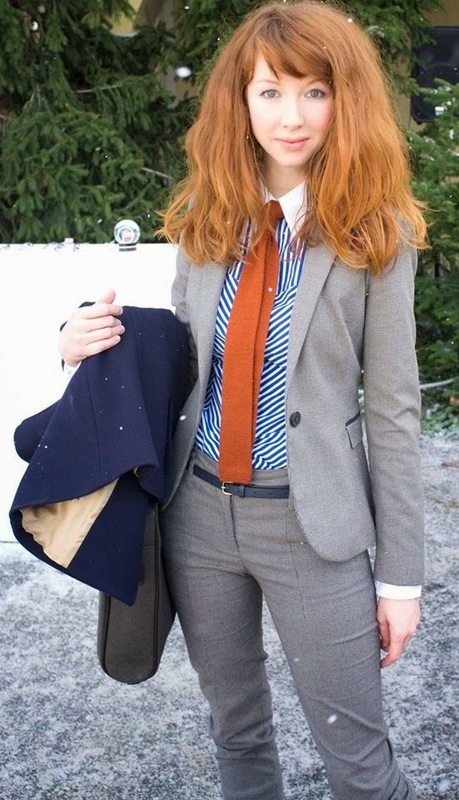 You don't have to be a "suit" to wear an orange tie; wear it with your t-shirt or anything! Send us YOUR photos of you and your friends/colleages wearing orange ties (send to info@centurycycles.com) and we'll share them! 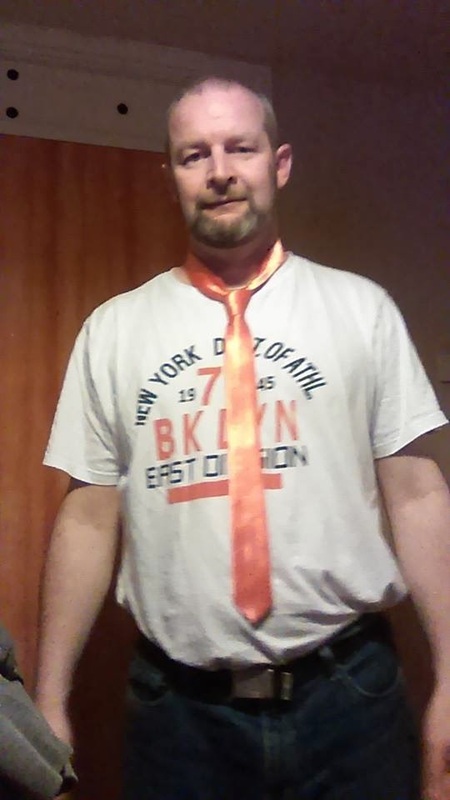 Go to the Facebook event page for Tie One On for Multiple Sclerosis to see more photos of people in orange ties from around the world! The past decade has seen a surge in type of cycling event referred to as the "gravel grinder." The rides take place mostly on un-paved back roads with a gravel or dirt surface. The appeal of the gravel roads lies in their remote, uncrowded (i.e. little to no car traffic), scenic, and adventurous nature. Some of the classic gravel grinder events are ultra-endurace races like the Dirty Kanza 200 in the Flint Hills region of Kansas and the Almanzo 100 in Minnesota. These events took off in the Midwest because of the seemingly limitless rural roads that the region has to offer, in contrast to the scenic mountain ranges that usually lure adventure-seeking rider to the west or east coasts. Gravel grinders can be found all over the country now, including a couple right in our backyard here in Ohio, like the upcoming Amish Country Roubaix race in Millersburg, last month's inaugural Road Apple Roubaix ride in Middlefield, and the upcoming Funk Bottoms Gravel race in Lakeville. The word "Roubaix" is often included in the names of these events as a reference to the Paris-Roubaix Race, one of the European "Spring Classics" known for extended stretches of rough cobblestone roads. 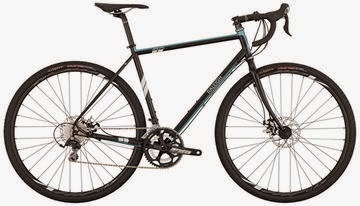 What kind of bike is best for a gravel grinder? Just about anything other than a traditional road racing bicycle works well. Road bikes are less than ideal because the smooth, skinny tires don't handle so well on the rough roads you'll encounter on a gravel grinder. 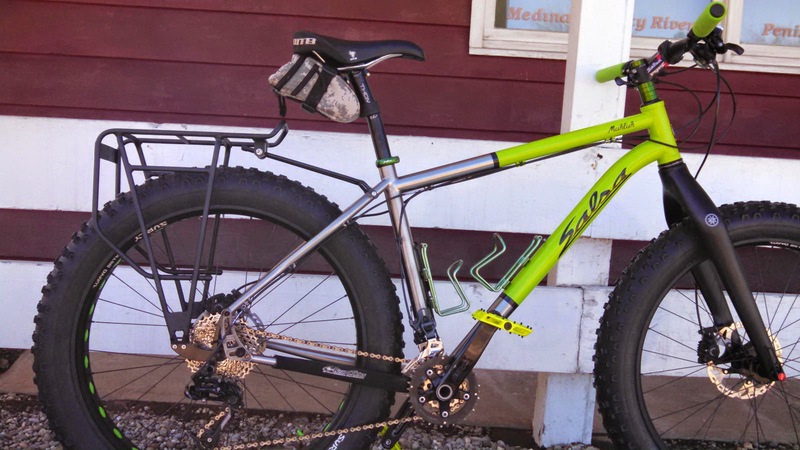 Mountain bikes are an okay choice, especially those with larger 29er wheels. A cyclocross bike works well on a gravel grinder because of its ability to accommodate much wider tires. 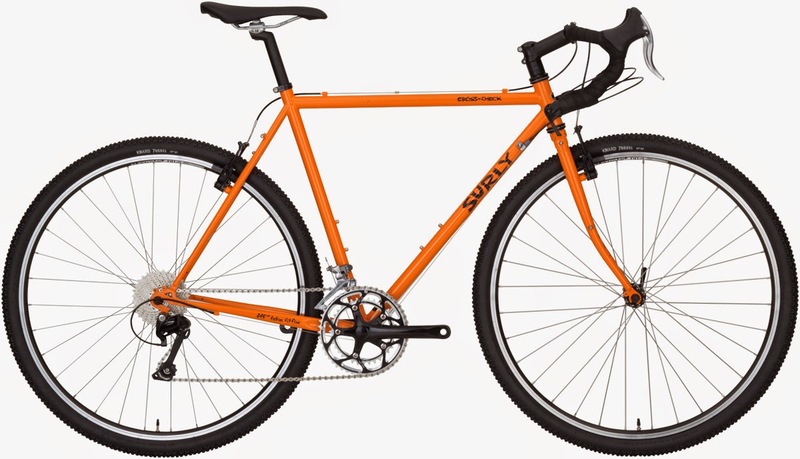 A popular option available from Century Cycles is the Surly Cross-Check or Surly Straggler. With the booming popularity of gravel riding, bike companies have stepped up to produce "gravel-specific" bikes. 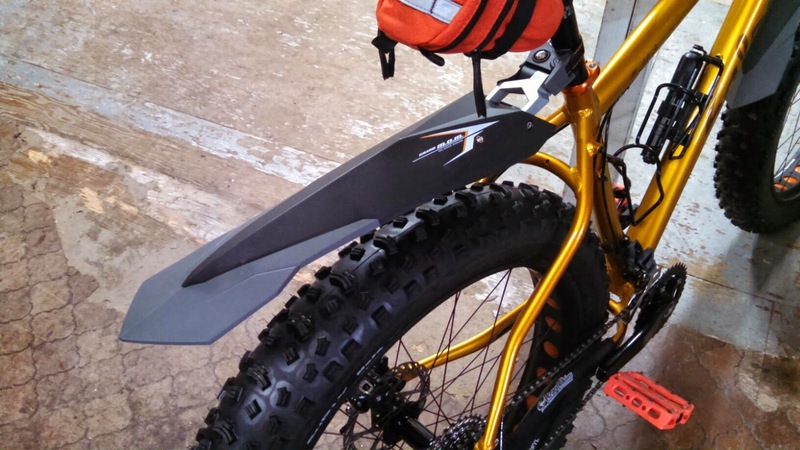 Some have taken to calling these bikes "adventure bikes" in order not to pigeon-hole them too much into a specific type of riding. What features make a bike a "gravel bike?" Typically, these bikes try to combine the best of many worlds from a road bike, cyclocross bike, touring bike, and mountain bike. 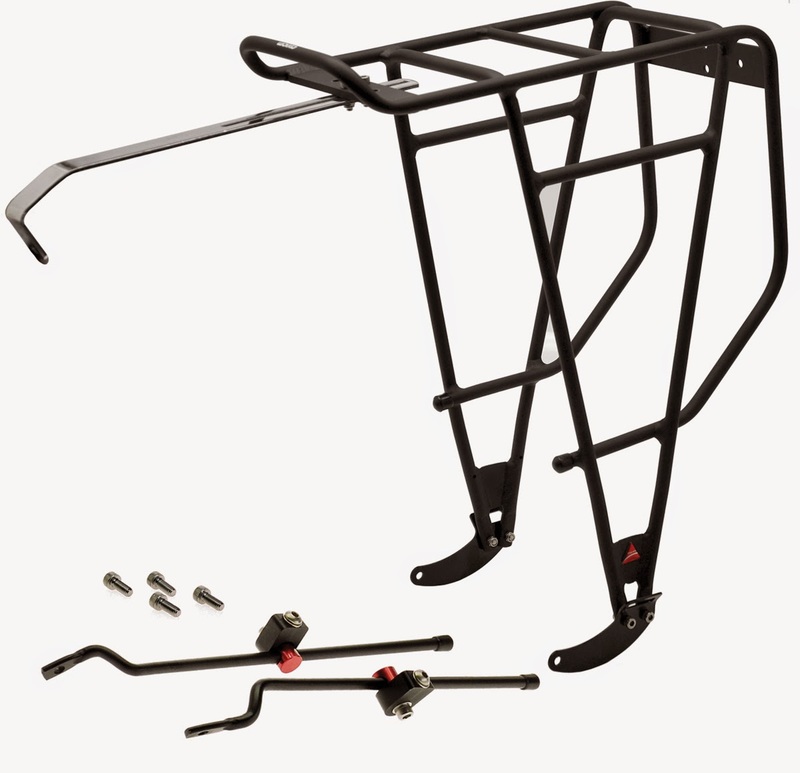 They will usually have a longer wheelbase and shorter bottom bracket height, which provides stability on rough roads. 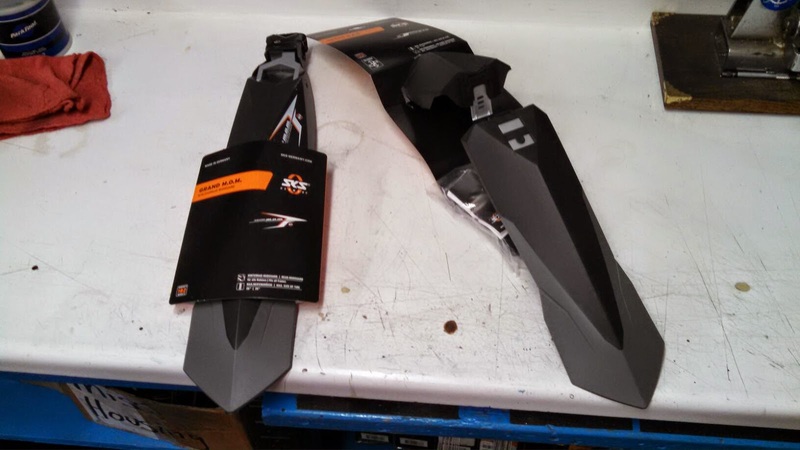 They might have a taller head tube for a more comfortable, upright position during those long endurance-type events. Look for a wide gear range for hill-friendly gearing. 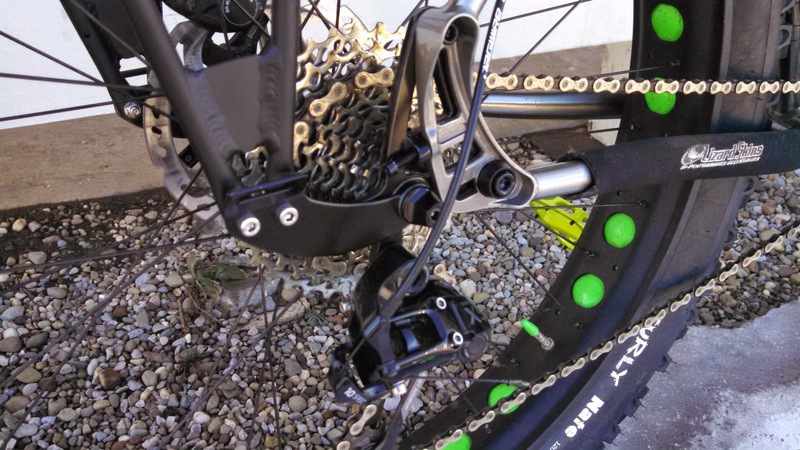 Most have disc brakes for better stopping power when those rough roads turn downhill. 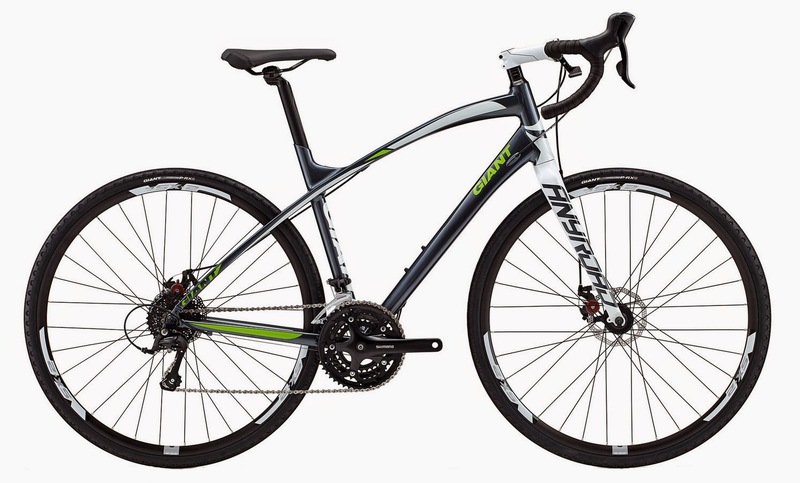 The AnyRoad 2 features Giant ALUXX aluminum frame and composite fork for a light and smooth ride, Avid BB5 mechanical disc brakes, and a Shimano 27-speed (3x9) drive train with a triple crankset to tackle any climbs, all for $1,049.99. It features a Reynolds 631 double-butted chromoly steel frame and Raleigh's gravel 4130 chromoly fork, a 20-speed (2x10) Shimano 105 drive train with FSA compact double crankset, and the innovative TRP Spyre dual-piston mechanical disc brakes, all for originally $1,599.99, now at the closeout price of $1,349.99! 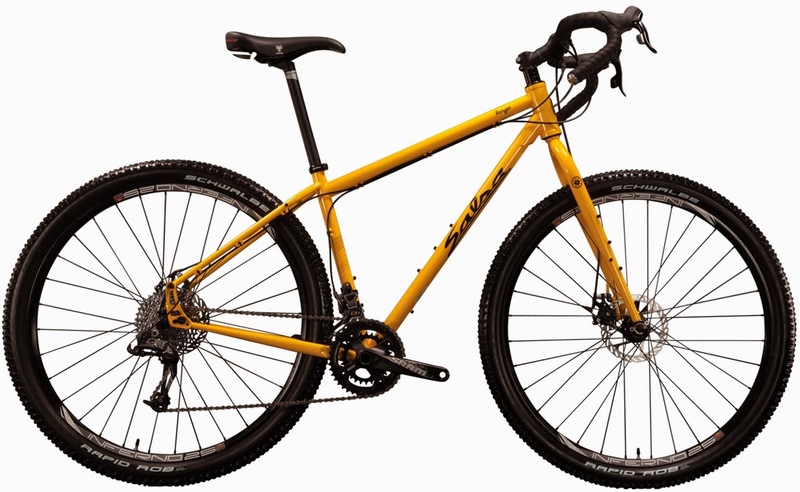 Of course, no discussion of bikes fit for any road would be complete without a mention of the Salsa Fargo, the true "one bike to rule them all." 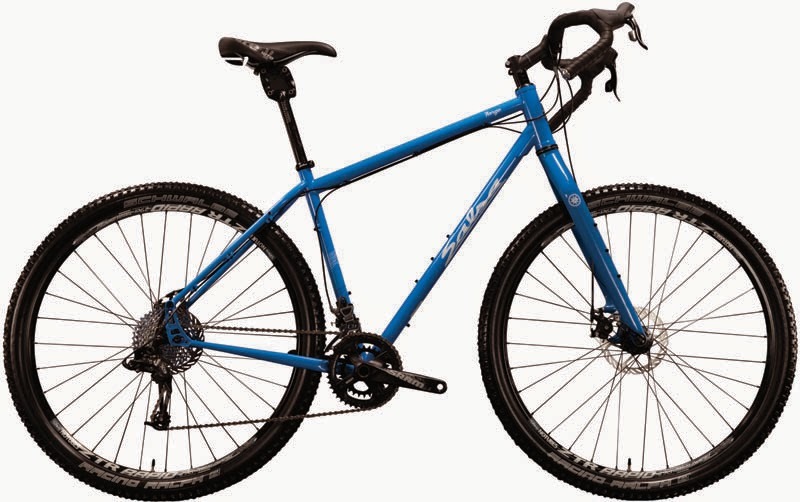 The Salsa Fargo 2 has a steel frame and carbon fork, and the Salsa Fargo 3 features an all-steel frame and fork. 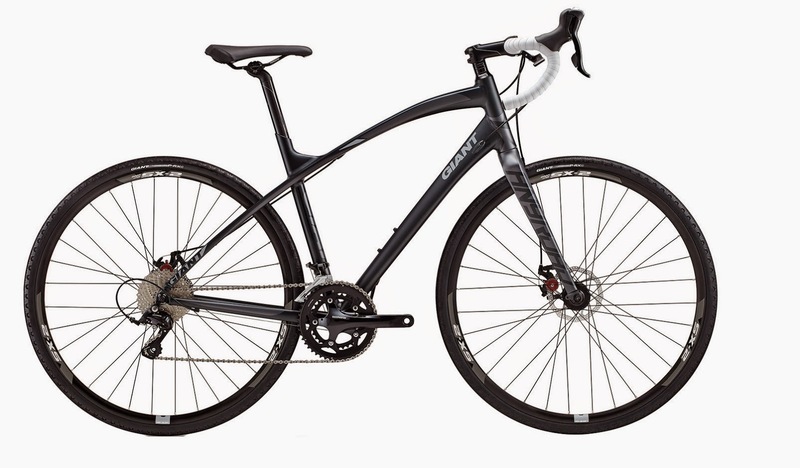 Both have the unique flared Woodchipper drop handlebars, and a SRAM 20-speed (2x10) mountain drive train. 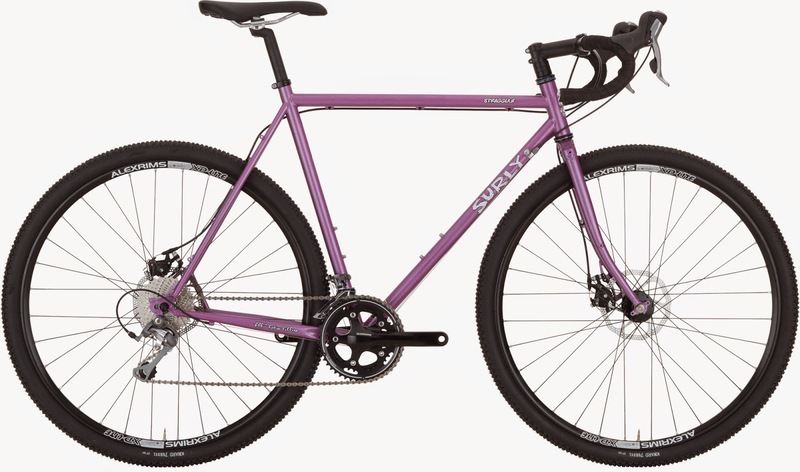 What all of these bikes have in common is that whether you plan to train for a 200-mile gravel race epic, or are just looking for an extremely versatile bike to take you around town in Northeast Ohio, they are great choices. If you want one bike for go-fast group road rides, commuting to work, and exploring the Towpath Trail and other bike paths, or even a weekend or week-long excursion on the Ohio to Erie Trail or the Great Allegheny Passage/C&O Canal Towpath Trail from Pittsburgh to Washington, DC, these bikes are your go-to ride. 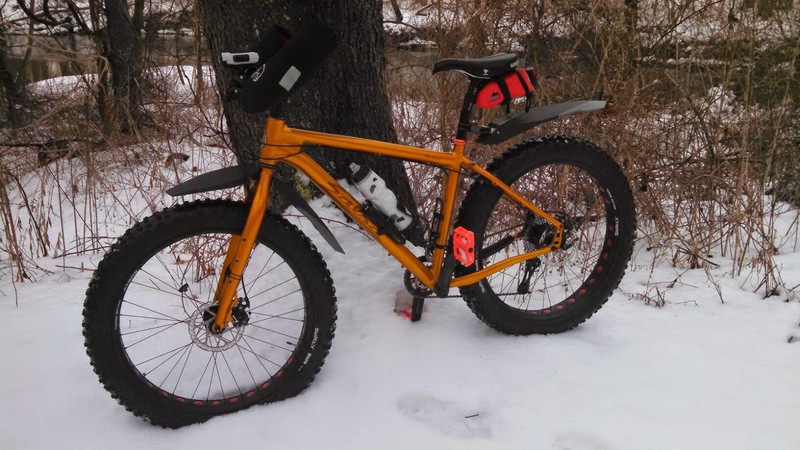 Hey, fat bike and snow bike fans! 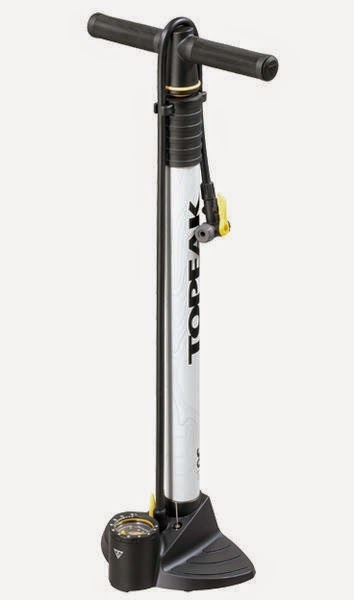 In the ever-expanding line of tools and accessories specific to the needs of fat bikes, Topeak now offers the JoeBlow Fat pump! 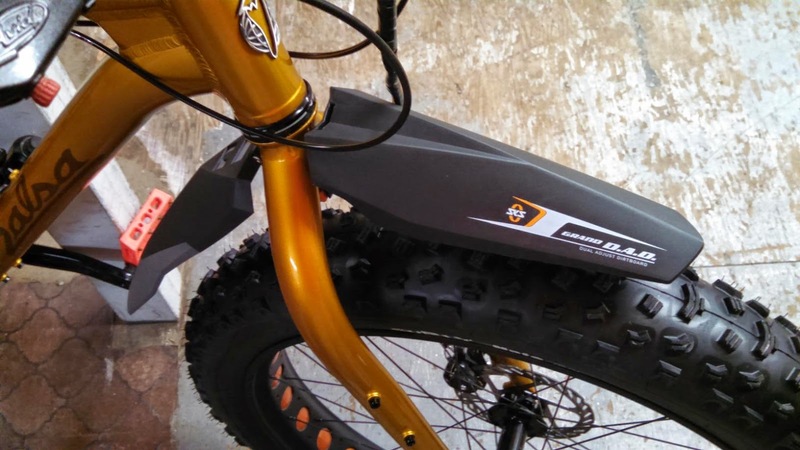 Topeak's JoeBlow Fat is the first floor pump exclusively designed for low pressure fat tire bikes. 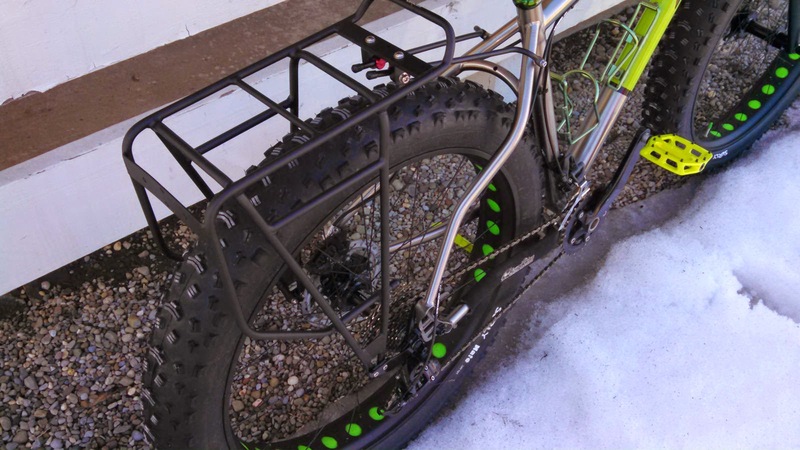 The massive over-sized barrel is 1.5 times larger than standard floor pumps and delivers big air volume to fill fat tire bikes quickly. Low pressure gauge (up to 30psi) with pressure release button on the hose head lets you adjust tire pressure accurately. I tested this bad boy out myself last night, pumping up one of my fat bike tires from completely flat to 10psi. With my Giant Control Tower 2 pump (a very fine and capable pump in its own right), it took me about 1 minute and 85 pump strokes. With the JoeBlow Fat pump, it took me only 45 seconds and 45 pump strokes! The built-in air gauge on the JoeBlow Fat pump has markings in half-pound increments starting at 2-1/2 psi, making it easier than ever to dial in those low pressures for snow bike riding. In 2014, people riding bicycles in the Cleveland area rallied to bring home the Rust Cup by beating Pittsburgh in the National Bike Challenge! Back and better for 2015, login and start logging your miles to keep the Rust Cup in Ohio! You can join a team, plus register with your school or workplace to compete against other groups. Don't have a team? 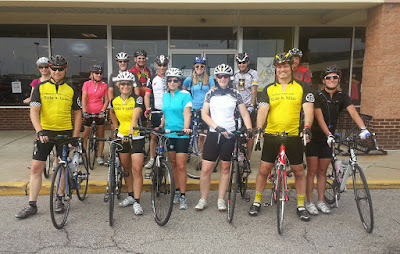 You can join the Century Cycles team! 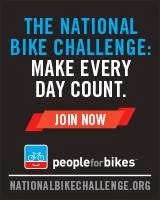 Just search for "Century Cycles" when you login and sign up for the National Bike Challenge. Last year, the National Bike Challenge made it easy to log your miles by providing automatic synchronization with the popular fitness apps Endomondo and Moves. This year, they've made it even better by adding Strava and MapMyRide! The National Bike Challenge officially runs from May 1 to September 30, 2015, but you can sign up now and start warming up and logging miles right away! 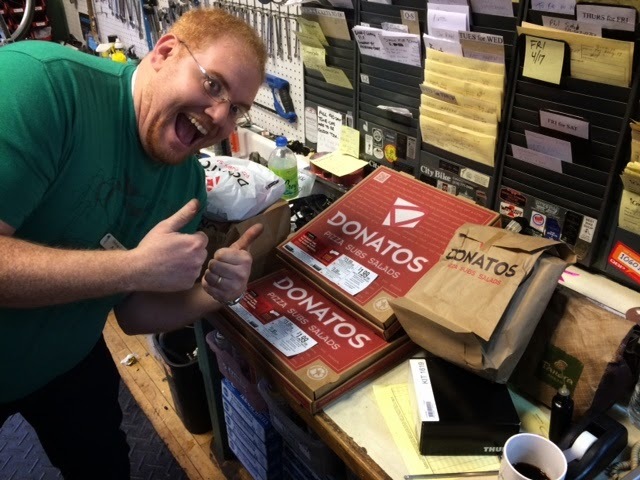 Thanks to Donatos for providing lunch for the crew at the Century Cycles store in Rocky River yesterday! 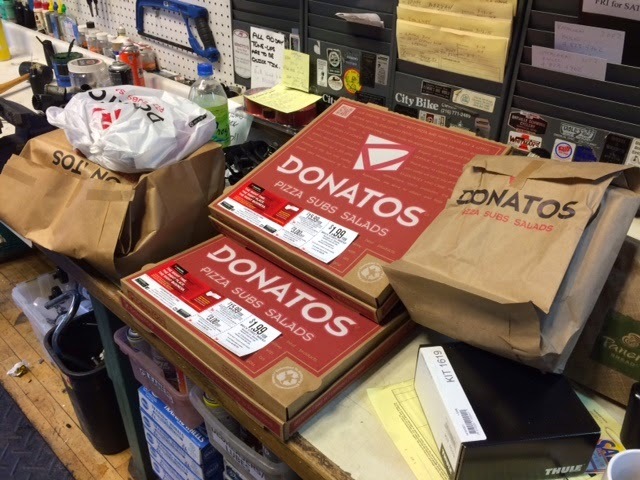 We enjoyed the pizza, wings, and salad! Love trails? Get excited, because there are a few more coming to Cuyahoga Valley National Park (CVNP) soon—including the park’s first mountain biking trail. Conservancy for Cuyahoga Valley National Park for new trail construction in CVNP. The gift will fund construction, as well as initial planning and design work, for several high-priority trail projects from the park’s 2013 Trail Management Plan. Construction is scheduled to begin this year for a system of mountain biking trails on the eastern edge of CVNP, flanking the area around the Ohio Turnpike (Interstate 80). The first 2.6-mile phase of the project is scheduled for construction in 2015, with the next 6.2-mile phase to begin in 2016. The Knight Foundation grant will also fund a couple other hiking trail projects in the national park, including a new loop on Furnace Run Trail connected to the Everett Covered Bridge trailhead, and a new trail connecting the Conservancy’s Hines Hill campus to the Stanford House and Towpath Trail. They're back! Our "Define your life. Ride a bike. (tm)" baseball caps! After taking a few years of vacation, our "Define your life. Ride a bike.™" baseball caps are back! 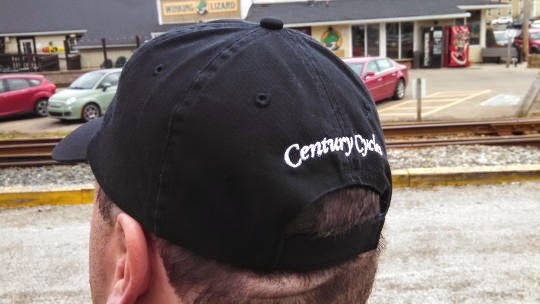 100% black cotton with white embroidery, with our slogan on the front and script Century Cycles logo on the back. One size fits most with Velcro adjustment strap. Only $12.99 each! Now in stock in all three Century Cycles stores. Labels: baseball caps, Define your life. NEW! "Define your life. Ride a bike. (tm)" Performance Tech Tee! 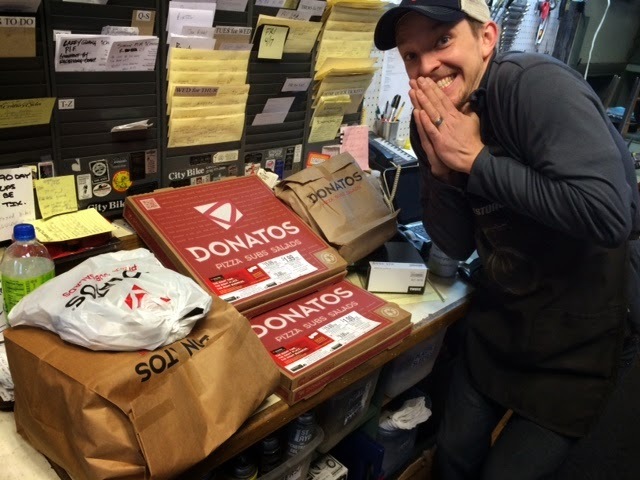 You've asked for it; now we've got it! In the same spirit as our original "Define your life. 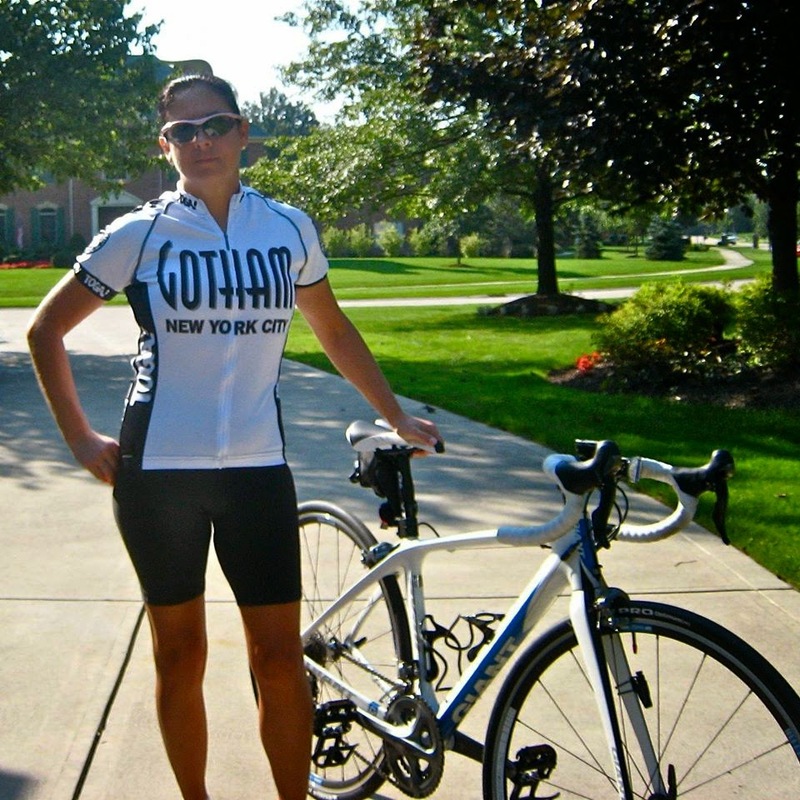 Ride a bike.™" cotton t-shirts, we are now offering the same popular design in 100% moisture-wicking polyester! 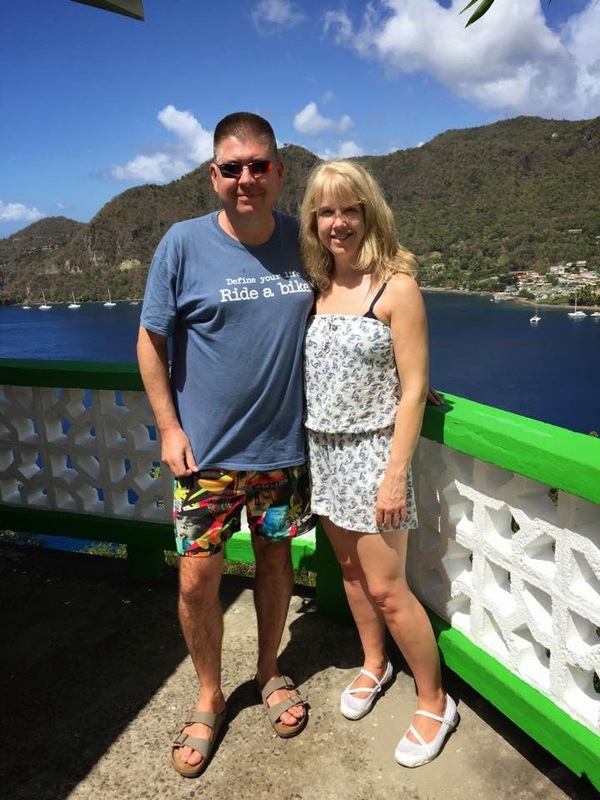 Available in the bright green color shown here, in unisex sizes Small, Medium, Large, and Extra-Large, the cut and fit is generous, so you get a comfortable no-shrink true fit. 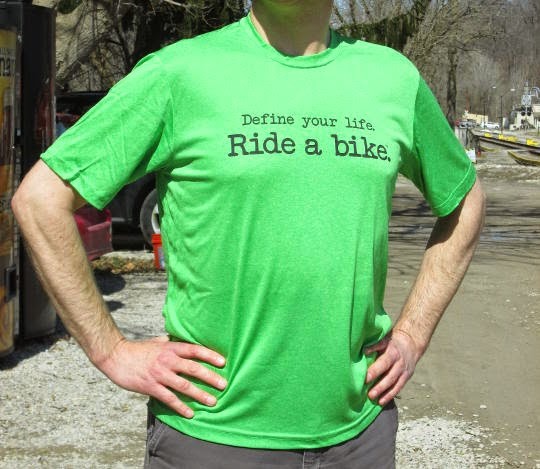 Now, you can show the world how you Define Your Life during all of your activities, whether it's biking, walking, running, hiking, or working out at the gym! The Century Cycles "Define your life. Ride a bike.™" Performance Tech Tee is now in stock in all three of our stores for only $19.99! The Adventure Cycling Association and Epic Montana are collaborating on a series of videos that highlight the ACA's bicycle routes through their home state of Montana. The first in the series, released in December, featured the Northern Tier Route. The next video in the series features the TransAm Trail. The TransAm Trail runs from Astoria, Oregon to Yorktown, Virginia, and was the route used by the original Bikecentennial event in 1976, and led to the founding of the Adventure Cycling Association. In Montana, the TransAm Trail features the Twin Bridges Bike Camp, a cyclist-friendly campground and shelter set up by the people of the village of Twin Bridges to make touring cyclists comfortable and welcome. 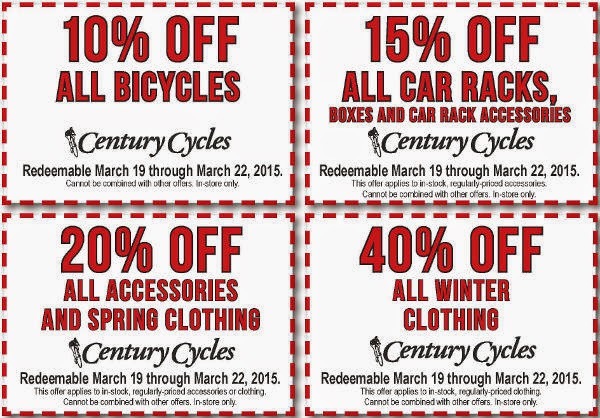 Century Cycles is a Bike Shop Member of the Adventure Cycling Association. 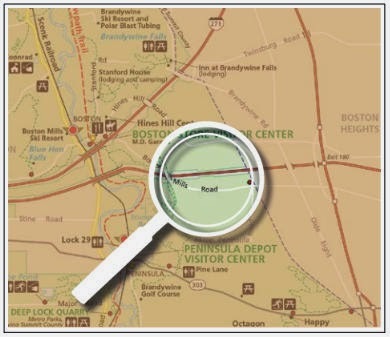 Our Medina and Peninsula stores are located on the ACA's Underground Railroad Bicycle Route, and our Rocky River store is located on the Northern Tier Route. Some previous model-year bikes marked down even more! Additional close-out clothing as much as 60% off! open until 8:00pm on Friday, March 20! Spring time in Ohio is notorious for less than ideal biking conditions, residual salty streets, road grime and mud. 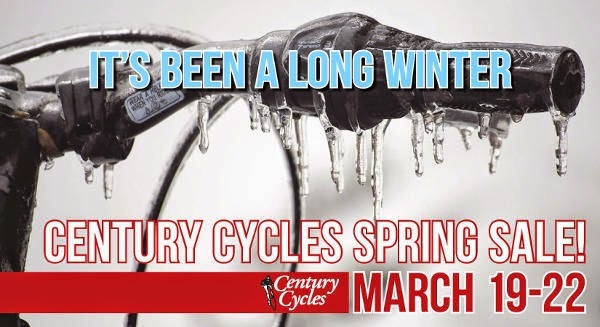 Along with the changing seasons, comes a new chain lube to the Century Cycles family. Dumonde Tech is among the elite of bicycle lubricants and grease, setting them apart from the rest with their unique polymer-based chain lube formula. The word "polymer" is a broad category, and can include materials such as nylon, salt, and yes, even wool. So, as you can imagine, getting them to tell us exactly what polymer they base their lubes on would be like getting McDonald's to tell us how to make Special Sauce. 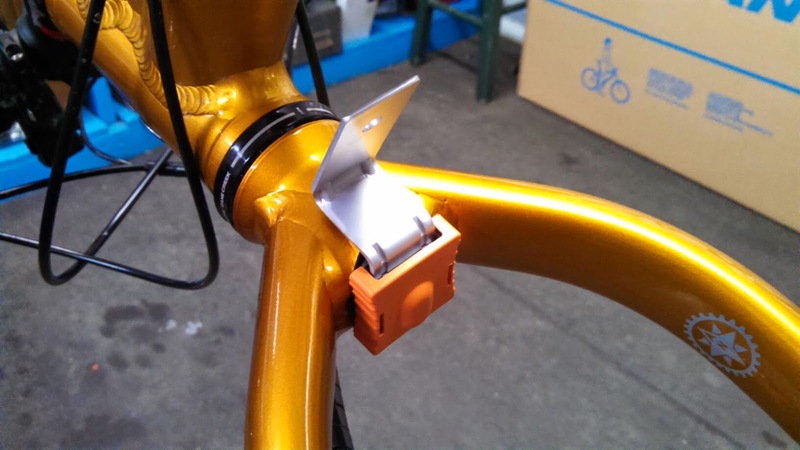 The key technology is that it’s a liquid plastic that turns into a solid plastic as you ride, and your chain’s metal parts work against each other to create pressure and small amounts of heat. This polymer is attracted to heat and will migrate aggressively towards it, unlike many oils that will move away from heat. 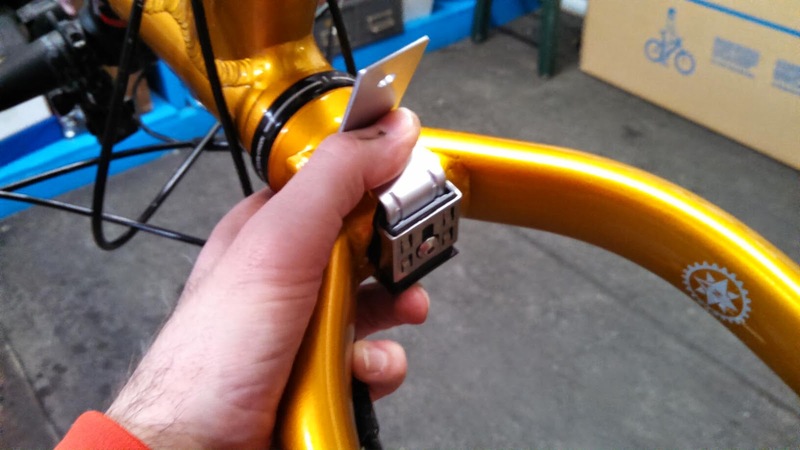 Interestingly enough, when it reaches its solid state, the chain lube falls into the category of self lubricating plastics, creating a surface slicker than the typical Teflon chain lube. Dumonde Tech offers two versions of this polymer-based lube, both having the same formula, only differing in concentration. The Dumonde Tech Original formula (suggested for mountain bikes and poor weather conditions) and the Dumonde Tech Lite formula (suggested for road bikes and good weather conditions). 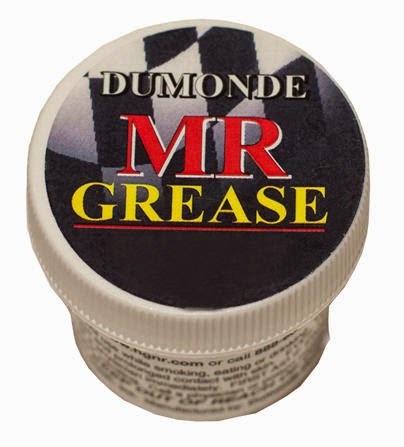 Dumonde Tech also offers a full line of high-end lubricants and greases, including MR Grease (for bearings and suspension parts), Liquid Grease, Free-hub oil/grease, and even environmentally friendly biodegradable chain lube. Stop into Century Cycles and pick up some Dumonde Tech lubricants to keep your ride running smooth for miles and miles to come! 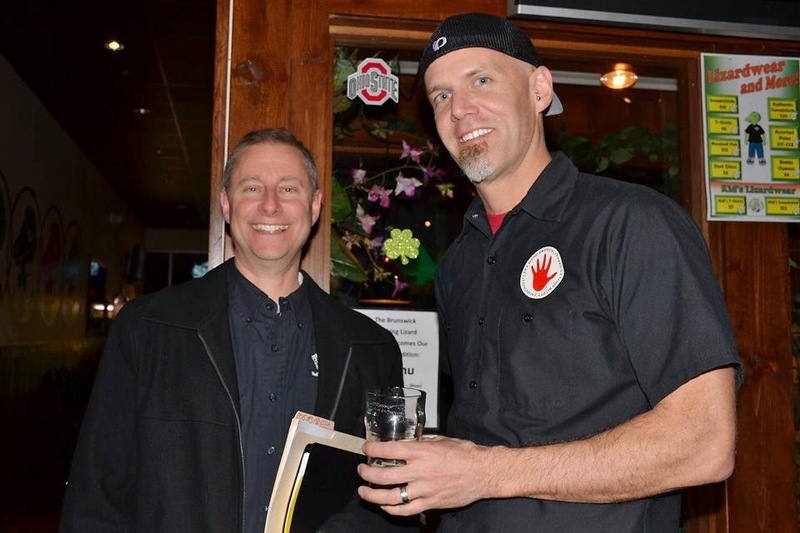 Thanks to everyone who came out the The Winking Lizard Tavern of Brunswick on Wednesday evening for the Team Left Hand / Century Cycles Bike MS Kick-Off Party! Thank you to The Winkign Lizard for hosting us, and to Chris Lennert and Sara Gould, who make the trek out from Left Hand Brewing Company in Colorado! Chris gave everyone a run-down of the benefits of joining Team Left Hand / Century Cycles, as well as some great fund-raising tips, which will help us all help the National Multiple Sclerosis Society! Team benefits include our exclusive team jersey, a share of all sponsorship funds raised, the post-ride party in the team tent with a team masseuse, and priority access to the Left Hand Brewing Company taps at the post-ride party! 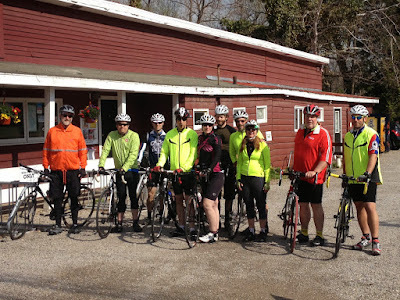 to sign up for Team Left Hand / Century Cycles. You'll receive an email after this process with a link and code to sign up for the Bike MS Buckeye Breakaway! 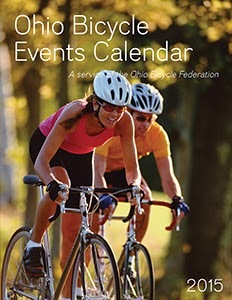 The 2015 Edition of the Ohio Bicycle Events Calendar has arrived! Stop by any of our three Century Cycles stores to pick up your FREE copy! The Ohio Bicycle Events Calendar is produced by the Ohio Bicycle Federation, our state-wide bicycle advocacy organization working to improve Ohio bicycling through legislation, education, and shared ideas. Brecksville, Ohio - Visitation at America’s national parks broke all-time records in 2014, as the National Park Service prepares to celebrate its centennial in 2016 with a major push to encourage more visitors to experience their national parks. In the recently release report by Director Jonathan B. Jarvis, there were 292.8 million visits to national parks, breaking the previous record set in 1999 when parks saw just over 287.1 million visits. Cuyahoga Valley National Park (CVNP) ranked as the eleventh most visited national park with 2,189,849 visits in 2014. In FY13 the park also ranked eleventh with 2,109,010 visits. CVNP does not charge an entrance fee, so does not have entrance stations. Visitation is determined by counters placed at trailhead parking lots. CVNP encompasses 33,000 acres along the Cuyahoga River between Cleveland and Akron, Ohio. Managed by the National Park Service, CVNP combines cultural, historical, recreational, and natural activities in one setting. For more information visit www.nps.gov/cuva or call 330-657-2752. 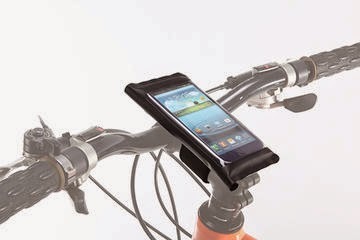 The fine folks at BiKase have been providing us with popular smartphone holders for your bicycle for the past couple of years. 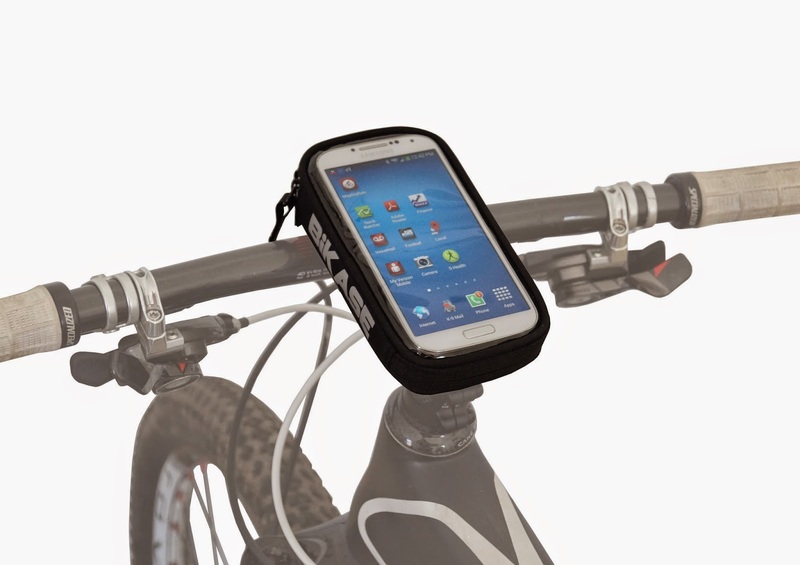 The Handy Andy 5 is a weather-resistant smartphone case that can mount vertically or horizontally to your stem, handlebar, or frame using two easy stretchable velcro straps. The clear cover is touch-screen compatible, and the case fits the iPhone 6 and older models, plus many models of Android and other smartphones. The DriKase is also touch-screen compatible, with a fully waterproof case that can also mount vertically or horizontally. The single large velcro strap can be removed, so that you can use the DriKase as a phone holder in your pocket. Fits the iPhone 6 and other phones with 5-inch screens or less. With the arrival last year of the iPhone 6+, BiKase stepped up to the plate with larger options to accommodate larger screens. The Handy Andy 6 has the same great features as the Handy Andy 5, and it fits the iPhone 6+, plus other larger smartphones (or "phablets"). Likewise, the DriKase XL gives you waterproof protection for the iPhone 6+ and other large phones. All four of the above products are now in stock at all three Century Cycles stores! Plus, we have other great products from BiKase, such as the Beetle Top Tube/Stem Bag and the Alpine AL Clutch Purse/Top Tube Bag! 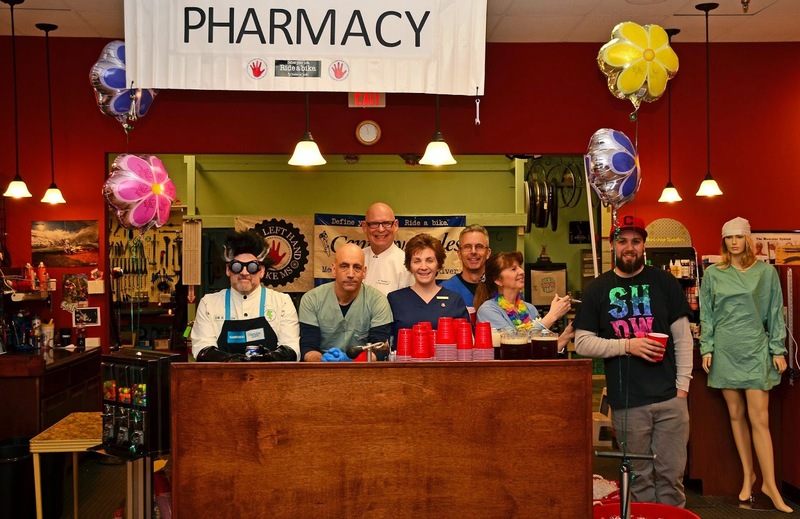 Thanks to everyone who came to the Century Cycles store in Medina this past Friday evening to help us find the cure for Spring Fever and kick off the 2015 cycling season! Did you remember to Spring Forward this morning and set your clocks ahead one hour? 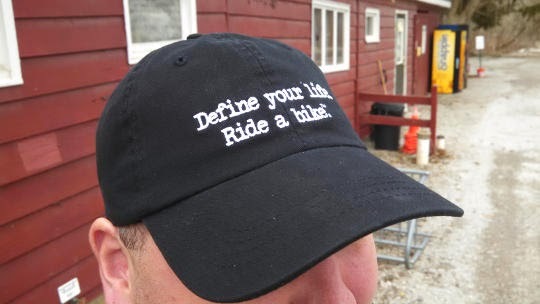 Thanks to our friend Mike for sending us these photos sporting one of our "Define your life. 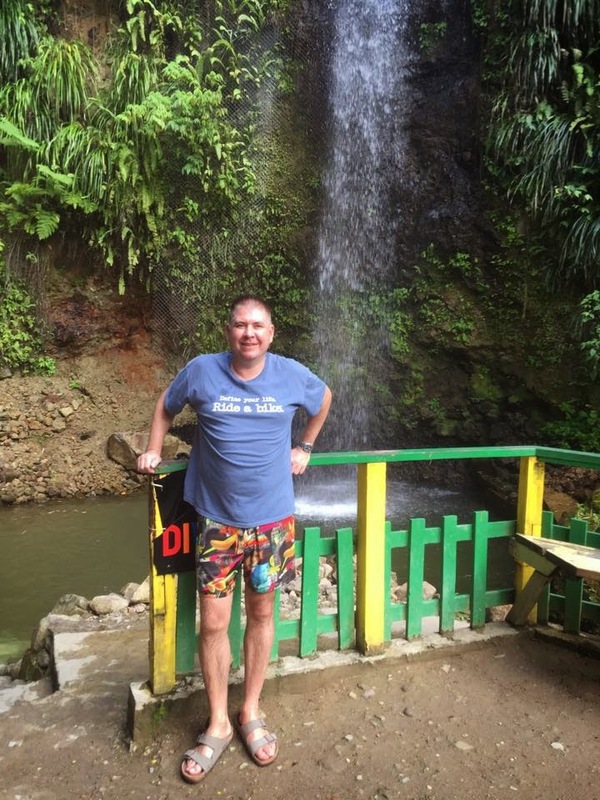 Ride a bike.tm" t-shirts while on a recent family vacation to the Caribbean island nation of St. Lucia! 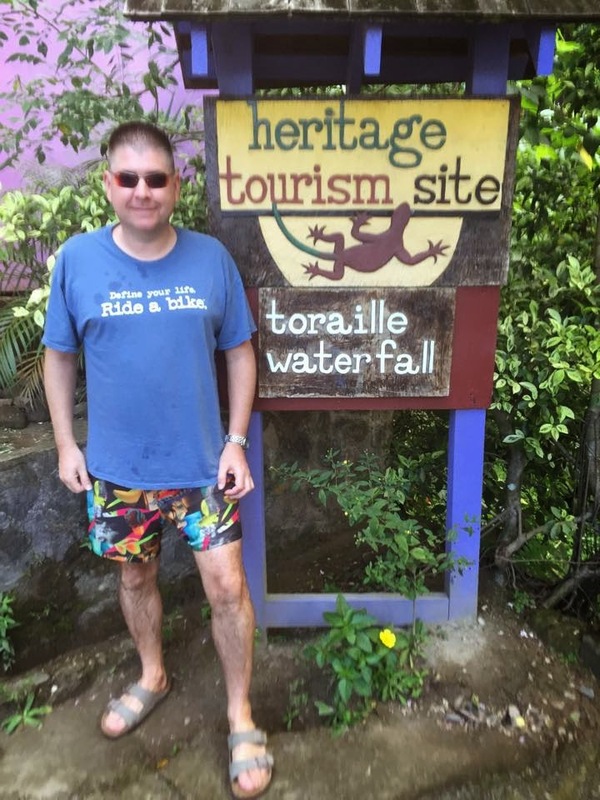 Feel free to send us YOUR photos of your Century Cycles t-shirts or bike jerseys from around the world! Labels: customer photos, Define your life.